Business consultants can only deal with whiteboards, flipcharts and calculators? Not at all! In the Bavarian town of Bad Tölz 45 colleagues have recently shown that they also know how to deal with hammer, saw and screwdriver. 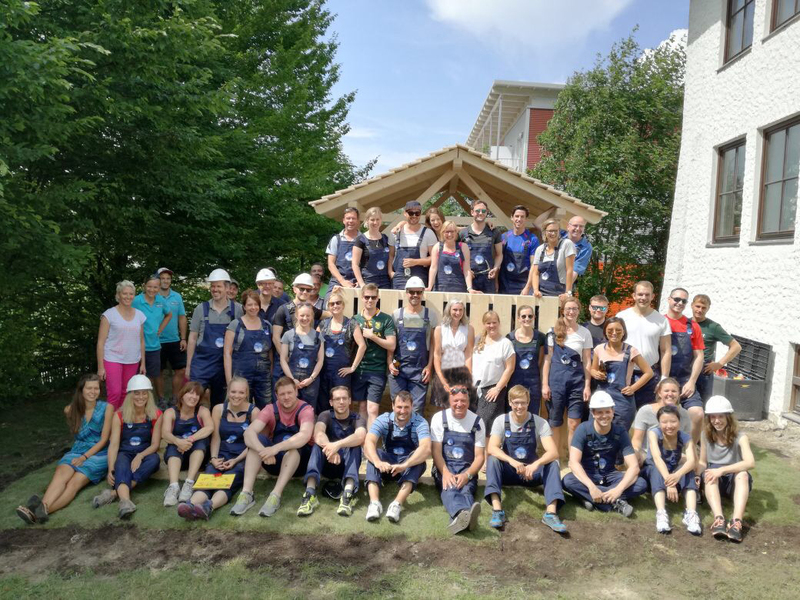 Under the guidance of two carpenters the consultants built a new pile house and sandbox for the “Lebenshilfe” day care center, whose playhouse had to be locked by TÜV last year. Thereby they did not only impress the children, who can enjoy the summer with a new toy now, but also the local newspaper “Tölzer Kurier”, which dedicated an article to the commitment of the colleagues.